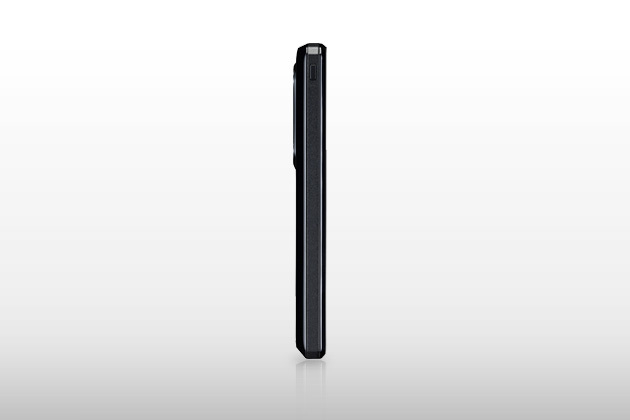 The AQUOS Phone's parallax barrier system—which imitates the parallax difference between our right and left eye—enables the display of vivid three-dimensional HD images without the need for glasses. The phone recognises if content is 2D or 3D at playback, and adjusts accordingly. You can even convert 2D images into 3D, and vice versa, simply by switching the parallax barrier on or off. 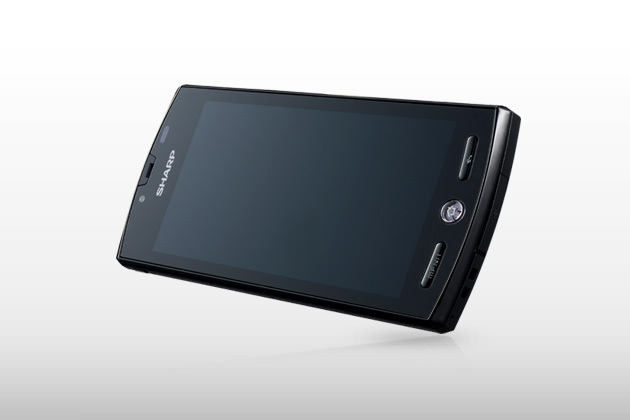 The AQUOS Phone automatically displays 3D photos in 3D, and 2D photos in 2D. You can also convert 2D to 3D and vice versa while you view your images. Depending on the video format, 2D or 3D display is automatically selected, or you can convert formats at any time during movie playback. 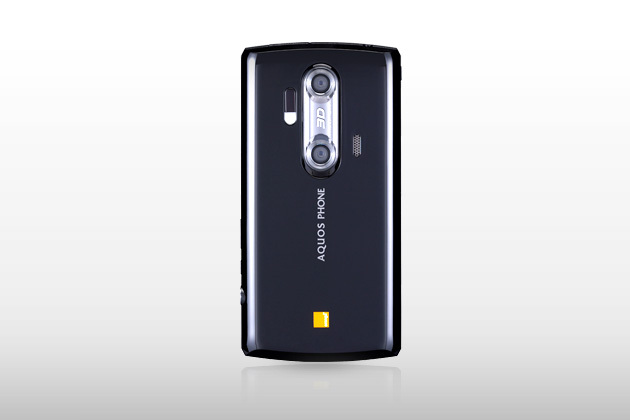 The AQUOS Phone captures high-definition 3D images using “left” and “right” 8-megapixel camera lenses. Colour, brightness, exposure timing, and the optical axis between left and right lenses are synchronised to create sharp and natural 3D images. 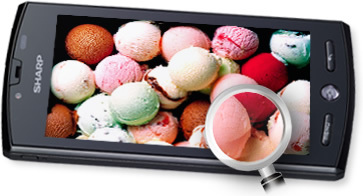 With selectable two- or three-dimensional finder display, you can capture images exactly as you see them on screen. Featuring two 8-megapixel cameras and our advanced ProPix image processor, the Sharp AQUOS Phone is ready to record and output movies via HDMI at 1280 x 720p resolution. Even fast-paced action scenes are smoothly rendered in pure, vibrant colour. Experience a new level of brilliance with Sharp's 4.2-inch LCD and ProPix image processor—technology derived from our line of AQUOS TVs. Boasting 540 x 960p qHD resolution—a quarter that of full 1920 x 1080p HD—the wide screen gives greater dynamic impact to movies and gameplay. You'll no longer need to zoom in when browsing the internet, with the LCD's outstanding resolution making small text easier to read. Our image-sharpening technology clearly defines outlines for natural contrast and a heightened sensation of depth in three-dimensional images. Colour saturation and brightness are automatically calibrated for striking, vibrant images. 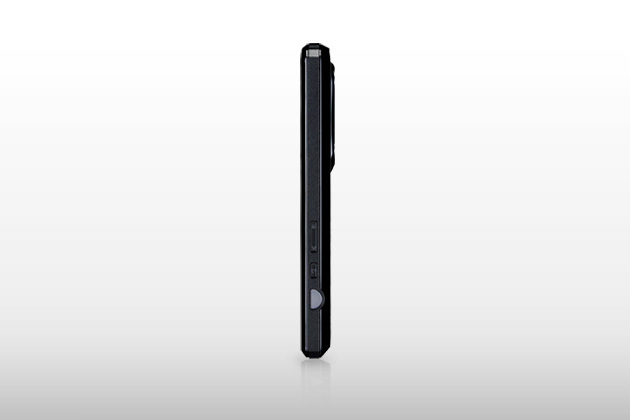 The AQUOS Phone's imaging system adjusts the backlighting depending on the image, optimising brightness for greater viewing comfort and extended battery life. Whether you've downloaded a high-definition movie, or have shot one yourself, the AQUOS Phone ensures fluid playback with no hint of image lag thanks to our advanced video processing technology. 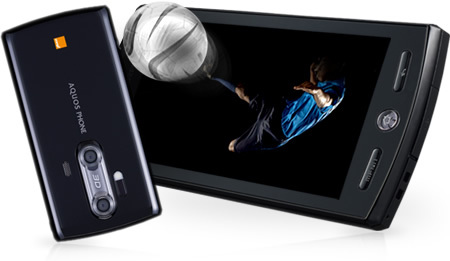 Easily convert compatible streaming movies, websites, and games into 3D by switching the AQUOS Phone to 3D mode*. Access a growing library of 3D content, or change photos and movies you've shot previously in 2D or one-segment to 3D. Naturally, you can convert 3D images to 2D just as easily. Commuters will appreciate the unique 'Veil View' display mode included on the AQUOS Phone, which makes viewing the screen from an angle more difficult. Simply touch a button to protect your personal messages, photos, and internet browsing from unwelcome attention when using the phone on public transport. The Sharp AQUOS Phone comes with a collection of 3D movies and images pre-installed to showcase the device's remarkable 3D capabilities. 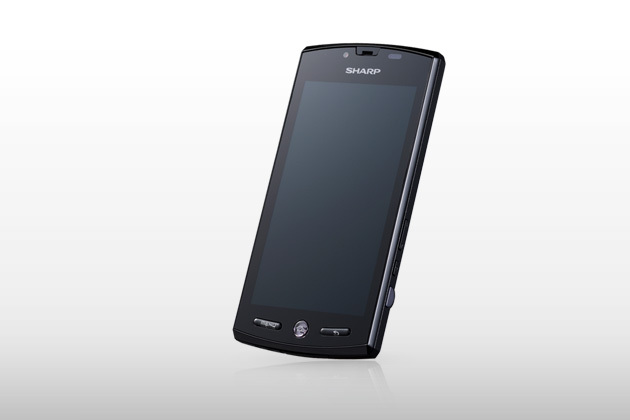 The Sharp AQUOS phone is designed to grow with your needs. You can download countless specialized applications from the Android Market and enjoy ever-increasing productivity. 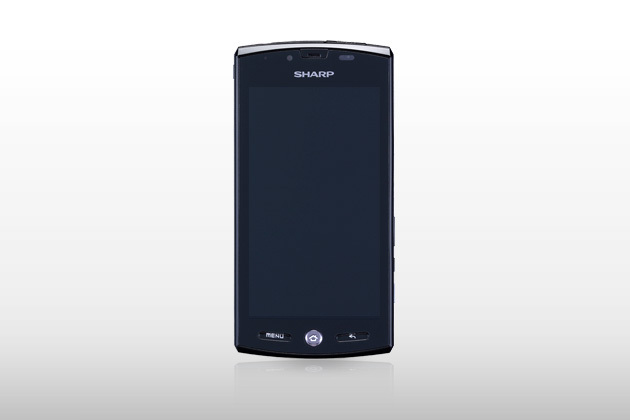 Google provides a comprehensive suite of services for Sharp AQUOS Phone users. These include Google Maps, Gmail, YouTube, Latitude, Google Buzz, Google Voice, Google Calendar, Google Contacts, and Google Earth. • Design and specifications are subject to change without prior notice. Applications may vary according to your carrier or service provider. • Many features are network-dependent and require network support. Separate charges may apply for certain features (e.g. text messaging). • All images are simulated. • The Bluetooth® name and logos are registered trademarks owned by Bluetooth SIG, Inc. and any use of such marks by SHARP CORPORATION is under licence. • Android™, Android Market™, and Gmail™ are trademarks of Google Inc.